You can help your child overcome their anxiety, worries, and fears. By ending your child’s battle with anxiety, their whole life can move quickly in a much more positive direction and change for the better. In the next few minutes, you’re going to learn how you can help your child feel more confident, secure in their own body and mind, and most of all, happy again by discovering how they can shatter the anxiety, nerves, and fear that may be holding them back. I’m a parent too, and I know there’s nothing worse than to see your child suffering with anxiety and feeling powerless to help them. Anxiety can rob your child of the life they deserve and were meant to have – one filled with joy, laughter, and fun. Left untreated, your child’s anxiety can lead to problems for them at school, with friends, with their self-esteem, and with their health. Said simply, it can steal their childhood. Without help, children with anxiety often endure severe social problems, have poor school performance, physical illnesses, or depression. Their anxiety can continue to grow to the point where they seem to be constantly worried or fearful – not having fun like children should be having. Children who struggle with anxiety are much more prone to becoming anxious adults that may struggle their whole lives with fear. As a matter of fact, research has shown that up to 90% of adults with anxiety disorders battled anxiety as a child. Problem anxiety can also predispose your child to other mental health problems and dangerous behaviors such as cutting, drug and alcohol abuse, or even suicide. What caused your child’s anxiety? Maybe there’s a reason for your child’s anxiety that you can clearly identify like an illness or death in the family, divorce, arrival of a new sibling, or a move, but often, there’s NOTHING for you to point a finger at and you’re left wondering why they’re struggling with anxiety! Is it genetics? Does their DNA doom them to life of anxiety and fear? Is it the way someone in their life handles anxiety and what they may have accidentally taught your child about handling their emotions? Difficulties with anxiety in children is VERY common, research has shown that as many as one in ten children experience an anxiety disorder. The important thing for you to remember is that no matter the reason for your child’s anxiety, it’s NOT YOUR FAULT. Genetics may play a role and predispose certain children to problems with anxiety, and maybe looking back there’s things you would have done differently (just like all parents, myself included). But the problem your child is having with their anxiety is NOT a reflection on you or your parenting, and most importantly, it doesn’t have to be permanent. You CAN do something about it. YOU have the power and ability to help your child change their life. Your child isn’t strange, sick, or weird. Their anxiety isn’t a disease, it’s more of what I call a “mental misunderstanding”. We all have a self-preservation mechanism built into us called the “fight or flight” response. It’s been there for thousands and thousands of years and it did a wonderful job of keeping the human race safe instead of being eaten by saber toothed tigers! Whenever it senses a threat, it very quickly prepares your body to do one of two things…fight off the threat, or run away from it. It accomplishes this by rapidly pumping your body full of stress chemicals like adrenaline and cortisol, so you’re as alert, focused, and strong as possible. It makes sweat pour off you, makes your heart thump in your chest, and makes it almost impossible to think about anything else except the immediate threat at hand. It happens to you, it happens to me, and it happens to your child. It’s been with us since we lived in caves, and it’s not going away anytime soon. You’ve probably even experienced this reaction firsthand. Have you ever just narrowly avoided a car accident? Remember how one second you were driving along and then the next second you reacted instantly to avoid the crash? Your world seemed to slow down, and you didn’t THINK, you just REACTED. Even when you realized you were safe, your heart was pounding, sweat was dripping off you, and you felt like you had enough energy to run a marathon. Maybe your legs were shaking from so much adrenaline that you had to sit and wait for a moment until you felt ok to drive again. When it’s appropriate, the fight or flight reaction is great, but it’s not so wonderful when anxiety mistakenly triggers the reaction, and that’s what your child may be experiencing. It’s not that the reaction itself is wrong, it’s that the timing is horrible! Your child is on the way to school and thinks, if only for a split second, what I call a “what if” thought. “What if I make a mistake”, or “What if I get embarrassed”, or “What if I’m not good or capable enough or something bad happens to me”. Whatever the thought is, it causes a little bit of anxiety, just a small trickle of the fight or flight reaction. Maybe their heart beats a bit faster, their thoughts race, or they get a tad lightheaded. They notice those physical sensations, and it scares them, even though they may have not even noticed the original thought that caused the reaction to begin with. Now they start to pay a great deal of attention to their body, watching it closely for more evidence that something is wrong. The physical sensations of fear make your child feel like something MUST be wrong, so their body releases even MORE anxiety producing chemicals, which scares them MORE, and the cycle continues. They feel their body going through the instinctual fight or flight response, and they look around, scanning their environment trying to find what the “threat” is – what they need to fight or run from. They can’t find an external threat, so their focus turns internally and they begin to think that THE THOUGHTS AND FEELINGS are the threat, and their anxiety gets worse and panic can even set in. They feel an almost irresistible urge to avoid the situation, and their emotions overwhelm them. Neural pathways are sort of like “express lanes” in your brain. They make repetitive tasks easier by allowing your mind to take shortcuts and not have to make decisions every time it experiences a common situation. It’s really how you learn almost any repetitive task or behavior, and the more often you react in a similar way, the faster and more ingrained the neural pathway becomes, until the reaction is automatic and occurs without conscious thought. Maybe it seems hard to believe that this is how your child’s fear and anxiety was formed, but isn’t this how you teach them to tie their shoes? Early on, they had to really concentrate and pay attention to what they were doing with the laces and it was awkward…looping the rabbit ears and going down the hole, remember? In the beginning they made a lot of mistakes, but the more they practiced and repeated the steps, the neural pathways for the task multiplied and became stronger. Eventually, they learned to tie their shoes without a second thought, just like you do. Think about it, do you THINK about how to tie your shoes? Do you still need the little rhyme about the rabbit going around the tree and down the hole? Of course not, you don’t need to think about it anymore, long ago you created strong enough neural pathways so you don’t need to think anymore, you just DO IT without any conscious thought at all, it’s automatic. Your brain doesn’t need to stop and think about what to do, it simply looks back at the neural pathways it already has and follows the same path you created decades ago. This is how you and your child learned to do many things that are now automatic, like riding a bike, walking, or driving a car. You repeated the behavior until the neural pathways were strong enough to take over. Just like the fight or flight reaction, this is a good thing in the right circumstances, but not so great when the behavior we’re repeating and learning is WRONG. The trick anxiety plays is so powerful it can invade your child’s life incredibly quickly and be very persistent, even when the fear makes no logical sense! To make matters worse, neural pathways for things like anxiety and fear can be created far more rapidly than most other things because there’s such a strong emotional reaction attached to them. Going back to the example, it may have taken you quite a long time to learn to tie your shoes. If you did it wrong, the consequences weren’t that big of a deal, so the neural pathways were created relatively slowly, maybe it took you 100 attempts or more before it started to become automatic. But how many times did you have to touch a hot stove before THAT response was imprinted in your memory? Once? Twice? Probably no more than that. Why? Because just like the fight or flight reaction, your mind pays very close attention to things it considered particularly meaningful, such as threats. When you touch a hot stove, it hurts, and your brain sure doesn’t want THAT experience again, so it creates a massive amount of neural pathways right from the start. It doesn’t wait for you to burn yourself fifty times before it “learns”. This is why if you accidentally touch even a cold stove now, you instinctively pull your hand away without thinking – as if it were hot. It no longer matters what the reality is, your brain relies on the neural pathways it formed incredibly quickly after you burnt yourself on the stove many years ago. Now you know that the way to overcoming your child’s anxiety is to first stop the cycle of anxiety from occurring and then to change the old limiting neural pathways of anxiety, worry, and fear, and replace them with new habits of confidence and calm. The problem is that all of this occurs on a very deep, primitive, and emotional level, and is why I believe so many programs and therapies for anxiety fail. They attempt to correct an emotional, automatic, and instinctual problem on a logical level…how could that work? Traditional talk therapy often attempts to “explain” to your child why they don’t need to be anxious. Let me ask you, do you think your child is CHOOSING to be afraid? Do you think you just need someone to TELL THEM they’ll be fine and to stop worrying? Haven’t you already done that? Did it help? Like you learned, once it starts, your child’s fear is virtually out of their control. Logical explanations and talking it over won’t stop their anxiety any more than they can talk themselves out of a headache. Your child needs to learn to stop their anxiety BEFORE it starts and develop a NEW WAY of responding – permanently. Who am I and why should you listen to anything I have to say? My name is Rich Presta, and for many years I used to suffer with extreme and debilitating anxiety. It began when I was a child, and since it was never treated effectively, it stayed with me well into adulthood. My days as a child were filled with worry, fear, anxiety, and an overwhelming feeling that I was different…like I didn’t quite measure up to the rest of the kids at school. It was hard for me to make and keep friends, I was always a bit awkward and uncomfortable, and I just seemed to have so much more to worry about than the other kids around me. I saw them always smiling and laughing, they seemed so fearless and happy, and I wanted to be like them more than anything in the world, but I didn’t know how to. I wish I could tell you that when I look back at my childhood I have good memories of carefree days filled with fun, but I don’t. To be honest, I’m glad my days as a child are over, but what I desperately want is for your child to be different – to NOT have the same story as me. I want them to laugh and smile and live passionately, free from anxiety that’s holding them back and costing them their childhood. I eventually overcame my anxiety, but it took way too long and by the time I did the “best years” of my life were long gone. I made it my life’s mission to share all that I learned about how to overcome anxiety, worry, and fear so no one has to suffer needlessly like I did for so many years. 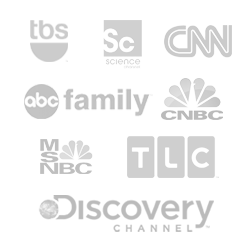 My programs have been used successfully for many years by individuals all around the world and have been seen in Psychology Today and Natural Health magazines, as well as on Discovery Health channel, MSNBC, CNN, and more. I developed a step-by-step program in conjunction with a Doctor of Clinical Psychology that I believe can help you shatter the very core of your child’s fear, so it never has to hold them back again. It’s not about teaching them to simply “cope” with their anxiety…that never made ANY sense to me. I don’t want your child to COPE with their fear, I want it GONE. It’s not about taking addictive or dangerous medications that may only mask the symptoms of the REAL problem. It’s not about New Age nonsense, hypnosis, affirmations, or other hocus-pocus that often does NOTHING to help your child overcome their anxiety. I hate to break it to you, but the universe isn’t going to sprinkle fairy dust on your child if they think pretty thoughts. Instead, I’m going to show you how I believe you can go to the source of your child’s fear response and CHANGE IT. First, and most importantly, the program needed to be specialized and designed from the ground up exclusively for use with children, and not just another program geared toward adults. Now that doesn’t mean there won’t be anything required from you of course, you’re going to play a crucial role in your child’s recovery and it will take effort on your part too. What it does mean is that this program was developed from the very first day to be easy to use for both parents and children, with simple language and techniques that can start bringing your child closer to anxiety-free from the VERY FIRST DAY. Second, the program needed to not just show you WHAT to do, but HOW to do it. The Anxiety-Free Child Program isn’t filled with statistics and psychological lingo that doesn’t do anything to stop anxiety and only confuses most people. I developed the program to help your child lead a better life, not to impress other authors with meaningless jargon and buzzwords. When you begin using the program with your child, I’m confident that within just a few days you and your child can start to see how they can effect their feelings, emotions, and reactions by stopping excessive worry and obsessive irrational thought patterns that perpetuate anxiety. They’ll discover how they can learn to slow down their body and mind, and choose reactions that are much healthier and positive, and the best part is, they’ll be learning skills that can last a lifetime. I recognized that your child had to start to feel better and more confident as soon as possible, and not wait weeks or even months like they often do with an expensive traditional therapist who may turn out to not be helpful at all! The program is built on what I call a “spiral of success”, which aims to help your child experience small successes early in the program, and then progressively continues to build on those accomplishments until they have positive “momentum”. They can see and feel their world getting better and better on a consistent basis, and they’ll get excited about working through the program with you as their skyrocketing self-esteem provides the fuel to help push them courageously through the fears that used to hold them back. I also made sure that you’ll be getting multiple perspectives and insights on treating child anxiety from who I consider some of the most notable and widely recognized professionals in the country who work with children. In the Anxiety-Free Masterminds audio series, you’ll hear from therapists, psychologists, and best selling authors discuss everything from symptoms in your child to watch for to groundbreaking research being done for anxiety utilizing functional brain imaging. You’ll have over two hours of audio during which we’ll look into multiple facets of anxiety and how it can effect your child, all for less than you would pay for a single session with even ONE of these experts (if you could even secure an appointment)! The Anxiety-Free Child Program is comprehensive, and includes tools specifically designed to help your child free themselves from anxiety and replace it with feelings of confidence, security, and comfort. The Child Anxiety Relaxation and Imagery System (C.A.R.I.S.) was developed exclusively for use with the Anxiety-Free Child Program, and can be an invaluable tool to help reinforce what your child will be learning throughout the program by giving them the opportunity to “practice without pressure” the skills they’ll be learning with you through the program. You can ONLY get the acclaimed C.A.R.I.S. 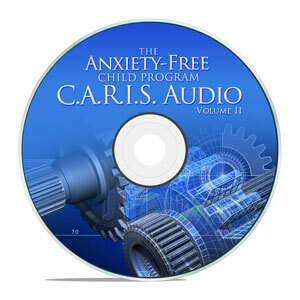 Audio as part of the complete Anxiety-Free Child Program, it’s not available ANYWHERE else! I want to be crystal clear on something. This isn’t a program that you GIVE your child, it’s something that you’re going to DO WITH them. It will require involvement on your part, and through the process of helping your child, you may find your relationship with them benefiting in ways you never imagined possible. The tools such as the C.A.R.I.S. Audio were developed for your child to use and easily understand, but much of the program was written for and to YOU so you can help your child. I’ll take you by the hand and explain what your child is experiencing and what you may need to do in your own life and well as theirs to begin the process of recovery. Every section of the program will end with a series of questions and exercises to do with your child, so you know exactly what steps to take and precisely when to take them, so all you need to do is follow the steps to success. Whether your child is five or fifteen, you’ll have a roadmap to positive change in your hands, and you can find your life and the life of your family changing for the better alongside your child. The super simple four-step technique that my experience has shown can bring even intense anxiety and even panic to a grinding halt. How your child can quickly clear their head of all the negative, anxious chatter they’re experiencing and get their confidence back. The role genetics plays in anxiety, and why it really doesn’t matter. Why I’m confident that just a few minutes a day can dramatically change how your child responds to anxiety and stress – for good. How to teach your child that the fear they feel is really NO BIG DEAL. When they learn how to stop focusing on it, they’ll take their first step toward getting rid of it. What I think you need to know about other disorders that may be effecting your child such as Attention Deficit Hyperactivity Disorder, Night Terrors, Obsessive-Compulsive Disorder, Depression, and more. The five patterns of thinking that anxious children often have that need to be avoided at all costs to break the cycle of anxiety, fear, and worry. What you can learn about your child by watching them play – things they may NEVER tell you. How anxiety effects your child’s self-image and esteem, and how they can go from anxious and worried to unstoppable. Why one of the most important things you can do for your child is take time to care for and nurture YOURSELF. What you’re probably doing now that may actually be making your child’s anxiety WORSE. How I believe your child can seize quick control of their anxiety, so they know that even if they do get a little anxious, they can turn it off, just like turning off a faucet on a sink. Your child will learn EXACTLY what I believe can help them put a stop to their anxiety attacks, worries, and fears – and keep them gone. No magic, no New Age potions, no hypnosis or other “miracle cures” that we both know DON’T WORK. The Anxiety-Free Child Program Manual is your in-depth guide that walks you step-by-step through everything I think you need to know and do to help your child overcome their anxiety, worries, and fears and replace those limiting thoughts and feelings with peace of mind and confidence, faster than you may have ever thought possible. You’ll be explained in simple and easy to understand language exactly what your child is experiencing, what may have caused and is perpetuating their anxiety, and how I believe they can conquer it. Every section of the manual is concluded with detailed questions to reflect on and exercises to practice with your child with the goal of continually bringing them closer and closer to their new and better life. You’ll also receive the entire unabridged program manual in audio format, so you can work on conquering your child’s anxiety and fear by listening in your car, at work, on your iPod, or wherever is most convenient for you and your lifestyle. This exclusive audio series will take your child by the hand and practice with them the skills they’ll be developing throughout the Anxiety-Free Child Program so they can more easily and quickly put them to use in their life. In just minutes a day, your child can be taught how to rapidly relax, quiet their anxious, negative and worried mind, and let go of physical tension. The Child Anxiety Relaxation and Imagery System (C.A.R.I.S.) contains four specially engineered audio sessions designed to work specifically with children and in conjunction with the Anxiety-Free Child Program. This breakthrough system that I’m convinced can dramatically increase the speed at which your child learns and develops their new skills is ONLY available as part of the complete Anxiety-Free Child Program. To ensure that you have absolutely EVERYTHING I think you could need or want to help your child overcome their anxiety, I tracked down who I consider the most recognized and respected experts working in the field of psychology and convinced them to do a series of interviews with me to discuss their advice for treating anxiety, fears, and phobias in children. In this series of interviews totaling OVER TWO HOURS, you’ll receive priceless advice on parenting anxious children, how to recognize and respond to other disorders that often present in children with anxiety such as ADHD, and what the implications are of cutting edge research being done utilizing functional brain imaging. With contributions from practicing psychologists, internationally recognized anxiety treatment experts, and best selling authors, I consider it the most comprehensive education for parents of anxious children available anywhere. These one of a kind interviews will offer you additional ideas, thoughts, and perspectives on conquering your child’s anxiety that you won’t find anywhere else! They were conducted by ME personally for use with the Anxiety-Free Child Program. As an added bonus, you’ll also be getting Volume II of the C.A.R.I.S. Audio System, so your child will have TWICE the tools to pick from to maximize results. 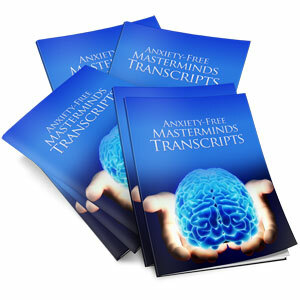 You’ll also receive complete transcripts of all the Anxiety-Free Masterminds Interviews! Purchased separately, these incredible bonuses alone would cost $59, and be well worth every penny, but if you place your order now, you can get BOTH with the Anxiety-Free Child Program FREE. With Volume II of the C.A.R.I.S. Audio System you’ll DOUBLE the amount of tools at you and your child’s disposal designed to help them quickly overcome their anxiety, worries, and fears! Like the original C.A.R.I.S. Audio, Volume II of the system will guide your child through practicing their new skills of inducing a feeling of relaxed confidence in themselves that they’ll be learning during their journey through the Anxiety-Free Child Program. The Anxiety-Free Child Program comes in either an instantly downloadable or printed version that is discreetly shipped to your preferred address, so you can be sure to get what’s best for you and your child. 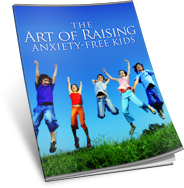 When you get The Anxiety-Free Child Program in secure instantly downloadable format, you don’t need to wait even one more day to get started on helping your child overcome their anxiety. As soon as you order, you’ll be taken to the private download area where you can instantly download the program material to any computer you like in convenient mp3 and PDF format. You don’t need to be a computer whiz because I’ve made it super simple and fast, it only takes a few short minutes. It will work with any computer, there’s no special software you need to buy, and all you need to know how to do is click a link. If you ever need any help, don’t worry, we’ll be happy to assist you. If you prefer to have the books and other material in a print and CD format that’s actually shipped your address, we offer that too, just click here for details and to order that version of the Anxiety-Free Child Program and we’ll rush it right out. By this point, you know how your child got “tricked” into thinking their feelings are dangerous, and that you only have to learn how to teach them a new way to interpret those feelings and react in order to put their anxiety and fears behind them. We’ve talked about the dangers of leaving their anxiety untreated, and how much better and easier life can be for everyone when their anxiety is replaced by confidence, security, and peace of mind. Now that we’ve removed so much of the “mystery” about the anxiety your child is feeling and where it comes from, you’re probably feeling that helping them overcome their anxiety and fear is more achievable than ever, and that’s great, because I believe IT CAN BE. But maybe you’re still a little unsure whether or not the program can work for YOUR child. Maybe you’ve already read books or tried a different program, and even though you know that the Anxiety-Free Child Program is unique and special, you’re still just not sure. I understand exactly how you feel, but I’m not going to let that get in the way of your child feeling better and changing their life. I just don’t have it in me to know they’re still struggling needlessly just because I didn’t make it easy enough to get started with the program. I’m confident you’ll agree that the Anxiety-Free Child Program is the most effective, fastest, and easiest way to help your child overcome their anxiety available. I’m so confident in the results of the Anxiety-Free Child Program that I’ll let you evaluate it risk-free for 60 days. If at any time you can honestly tell me the results your child is experiencing aren’t better than you ever expected…if you’re not completely blown away with how much better their life has become, let me know and I’ll give you a 100% full refund with no questions asked and no hard feelings. If you follow the program, it will work for YOUR CHILD or you won’t pay a dime. I know you may have already tried other things to help your child. I understand why you may even be a little skeptical, I really do. Let me be clear, The Anxiety-Free Child Program isn’t a “magic bullet” or “miracle cure” and I think it would unethical to present it as such. It’s going to take effort and dedication on your part too and because of that there’s no way I can predict with absolute certainty what your child’s individual results will be. That’s why I’m going to let you study the program, take plenty of time to try it out with your child, and make up your own mind, on your terms. If it’s not everything I say it is and MORE, I don’t deserve your money. You can change your child’s life for less than you probably spent on their last pair of sneakers. It’s important to me that help is within reach for every child that needs it, so even though other programs may cost several hundred dollars for material that I don’t think is half as good or nearly as effective, I’ve decided to make the award winning Anxiety-Free Child Program incredibly affordable so not a single child needs to continue to suffer needlessly with their anxiety. The entire program which includes everything we’ve talked about and is completely guaranteed, can be yours for only a single payment of only $97. Your child can’t help themselves, they need YOU to help them overcome their anxiety. 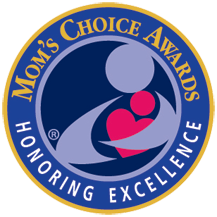 Receive The Complete Award Winning Program – I understand that I’ll be receiving the COMPLETE program, which includes everything outlined above…the Anxiety-Free Program Manual, the full Audio Version, the exclusive C.A.R.I.S. 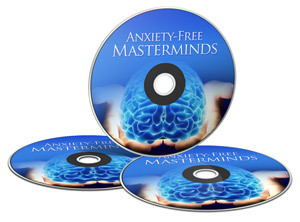 Audio System, the Anxiety-Free Masterminds Audio Series, and all the bonuses in easy to use PDF and mp3 format so I can download them right away and get started fast. If I prefer the Print and CD Version of the Program that’s discreetly shipped to my preferred address, I can order that by clicking here. 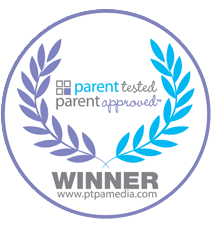 Developed With A Doctor – You know you can trust the program for your child because it was developed by leading anxiety authority Rich Presta and Dr. Cheryl Lane, a Doctor of Clinical Psychology. Completely Natural – The Anxiety-Free Child Program is designed to help your child quickly change for the better by helping them alter their negative thought patterns and habitual reactions that can cause severe anxiety, worry, and fears, and NOT with pills or medications that can cause dangerous and bothersome side effects, leave them feeling numb or sedated, or merely mask their symptoms without addressing the REAL problem. Break the Cycle of Anxiety – The goal of the program is NOT to simply help your child “cope” with their anxiety and fear. Why help your child to live WITH their anxiety when you can help them learn to live WITHOUT IT? I don’t think you should be satisfied until your child has learned to END the destructive cycle that creates the problem! All of this is completely guaranteed and only a single secure payment of $97! 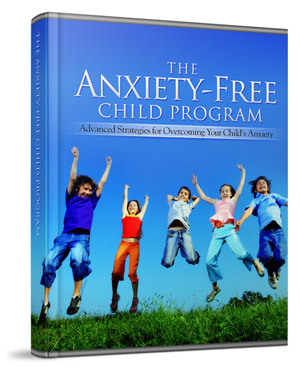 NOTE: The Anxiety Free Child Program above is an instantly downloadable program. No physical products will be shipped. After you order, you will get INSTANT ACCESS to download the program material onto your computer. The format is Adobe Acrobat PDF and mp3, which can be viewed on Mac or PC. If you prefer the print and CD version of the material that is shipped quickly and discreetly to your preferred address, please click here. 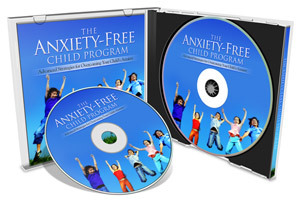 Click Here to Order the Fully Guaranteed Anxiety Free Child Program Now! P.S. 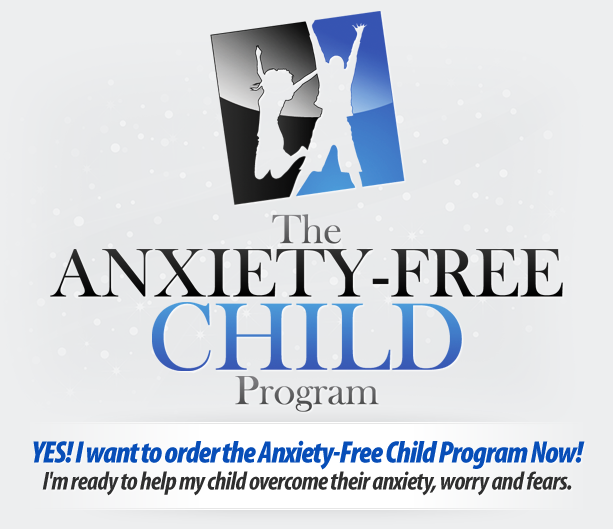 Every day you wait to get started with the Anxiety Free Child Program is another day your child may be NEEDLESSLY suffering with anxiety and fear. Your results and satisfaction are guaranteed or you won’t pay a dime, so there’s no reason to wait. The sooner you start, the sooner your child’s life can change for the better. Get Your FREE Anxiety-Free Child Email Seminar! A five part email series that shows you the secrets to raising confident, secure, happy, and Anxiety-Free kids! My son was suffering from anxiety and was experiencing sleepless nights, a racing heart, sweating, and other symptoms of his fear. We started the program and saw results almost immediately, thank you! I was exhausted from desperately trying for 8 years to help my son. He was making himself sick with worry and had even begun having panic attacks. It was tremendously stressful for the entire family and created an extremely negative environment for us all. He hated school and would beg for help and to "escape" situations. 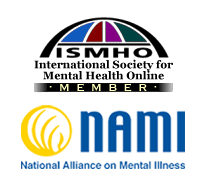 I found the program online and within a couple of weeks he was able to prevent himself from having panic attacks. Now he seems more comfortable to be himself and he isn't negative about life and watching from the sidelines…he gets in there! Now he knows he can handle it, it's FREEDOM and he has a whole new world waiting to be discovered. I would definitely recommend the program, it gave me the power to change things. My seven year old daughter Hannah had to be taken out school because she was so anxious. She wouldn't eat, was acting aggressively, and wouldn't socialize. Every morning before school was a disaster filled with tears and worries. After using the program Hannah is more confident and has started talking about the friends she's making! The program has worked wonders for or family, thank you sooooo much! I decided to try the program for my 11 year old son with anxiety. Before starting the program I was trying to help, but I never realized how much I was doing wrong! Things are less stressful now and happier. I would recommend your program any day! My daughter's anxiety was negatively impacting her grades and was making life very difficult for us both. The program was SO EFFECTIVE for us, thank you so much! My daughter was experiencing intense anxiety whenever she was away from us and also was hoarding. The anxiety had gotten to a point where it was difficult to get her to leave the house or go to sleep. After a few days of using the program, we started to see her be able to relax herself and go to sleep on her own. She started school last week and there were NO TEARS! She's been making friends and our home life is so much better, it's been awesome! The program helped us understand what she was going through and taught us how to guide her in overcoming her negative feelings. I'm grateful to have found the program and would highly recommend it! Our daughter was very anxious to go to school, but within a week she started to better understand what was happening when she would get afraid and what she could do to help herself. The program has been a major change in our life, it's been just fantastic and now she's back to school with confidence. I would absolutely recommend the program because it worked for us! The Anxiety-Free Child Program was like a revelation for our seven year-old son. As soon as what you teach in the program clicked for him, he realized that he could shut down his panic BEFORE it started, and I haven't seen him panic in months. We found the program simple, but very effective. Thanks! I always recommend the program, for so many reasons! It was so helpful not only for my daughter and her anxiety, but for me as a parent too. Thank you so much! We were having to literally drag my 8 year-old daughter out of the house to school, every morning was screaming and tantrums. Then she started getting anxious when we would go anyplace she didn't feel safe. 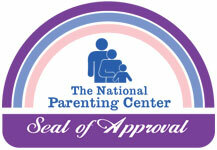 I learned about the program and started using it with my daughter and seeing her happy and not withdrawn is amazing. I run a preschool and have already told three families about the program and how much I love it. Thank you! My five year-old daughter suddenly started experiencing anxiety and I wasn't coping very well with it. The program was fantastic and enabled me to help her (and myself) through some very challenging times. I saw results fairly quickly, and since we've finished the program she's gotten so much better and doesn't complain about any of symptoms anymore. Life is much better now, the program actually had MORE tools than we needed! Knowing the apple doesn’t fall far from the tree, Rich Presta’s Anxiety-Free Child Program addresses both parental and child anxiety, teaching adults the skills they need to help themselves and their children. Full of practical advice on everything from time management to proper nutrition, The Anxiety-Free Child Program distills anxiety down to its essence: it’s not the experience, it’s the anticipation of what might happen that paralyzes us. Changing thoughts and behaviors makes all the difference. Rich Presta’s materials guide parents through this process, ultimately changing lives." Author of "What to Do When You Worry Too Much: A Kid’s Guide to Overcoming Anxiety"
My son Jacob started experiencing anxiety after the unexpected death of his Grandfather. When the anxiety started effecting him at school, I started doing research and discovered the Anxiety Free Child Program and decided to try it with Jacob. After we started working with him with what the program teaches, we started to see a change very quickly. Now his fear has faded, he jumps into the car everyday ready to go to school, and he's back to playing soccer like a rock star! He's so much happier now and doing great thanks to the program. I'm a mental health professional and I ordered the program for my five year-old granddaughter who had a very hard time being away from her mother. We started to see improvements after about the first week, and now she's back to her normal self, a happy go lucky child! The program was simple and easy to use and didn't require long, drawn out, expensive therapy sessions. The entire family is happy to have our carefree child back! My seven year-old Dylan was experiencing significant anxiety and was refusing to go to school, among other things. I found your program online and now life is better for the whole family. Dylan's sleep has improved and he's back at school! The program was what we needed.